"Whether it concerned children or adults, college students or the military, athletes or people with intellectual deficiencies (Special Olympics), I was always aware of a direct connection between whatever I was proposing or creating and my education and experience at the University of Illinois. It was here that I really acquired an understanding of and an appreciation for the logic, science, creativity, and indeed the passion required in the application of knowledge in our fields." For more than 50 years, Dr. Frank Hayden has researched, designed, implemented, and evaluated exercise and sports programs. While completing his master’s degree in 1958 and his Ph.D. in 1962 at the University of Illinois, he worked with Dr. Thomas Cureton in the Physical Fitness Research Laboratory. In the early 1960s, it was widely believed that developmental disabilities prevented individuals from developing the physical fitness and skill necessary to participate in sports programs. As a scholar in the University of Toronto’s School of Physical and Health Education, Frank demonstrated that while a fitness gap existed between children with developmental disabilities and those without, it could be narrowed significantly with strength and cardiovascular conditioning. 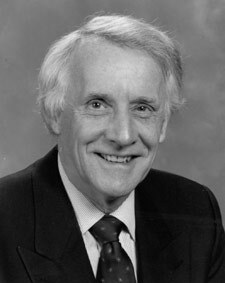 He published a book on his findings in 1964 and began advocating in Canada for national games for people with developmental disabilities. His work caught the attention of Sargent and Eunice Kennedy Shriver at the Joseph P. Kennedy Jr. Foundation, who convinced Frank to bring his expertise to Washington, DC. In 1968, he coordinated the first Special Olympics, a cooperative venture of the Kennedy Foundation and the Chicago Park District. The games brought together 900 athletes from 26 states, as well as a floor hockey team from the school where Frank had conducted his research. A year later, Canada inaugurated its Special Olympics. Frank served as executive director of Special Olympics from 1968 to 1972, then returned to teaching at the University of Western Ontario. In 1975, he joined McMaster University as director of the School of Physical Education and Athletics. He held the position until 1981, when he took a leave to spearhead the international development of Special Olympics. Frank, who retired in 1988, has received honorary degrees from McMaster University, the University of Calgary, the University of Toronto, and St. Mary’s University. In 2000, he was made an Officer of the Order of Canada, his country’s highest honor.